Five teams from OLLU have been included in the NAIA Scholar-Team list for the 2016-2017 academic year. Men’s golf and tennis, and women’s soccer, softball and volleyball all earned NAIA Scholar-Team recognition this year. Women’s soccer led the way with an overall 3.34 GPA, followed by golf with a GPA of 3.11. Softball earned a 3.08, while both men’s tennis and volleyball tallied a 3.01 GPA. Last season, women’s soccer, softball, golf and volleyball earned Scholar-Team recognition. 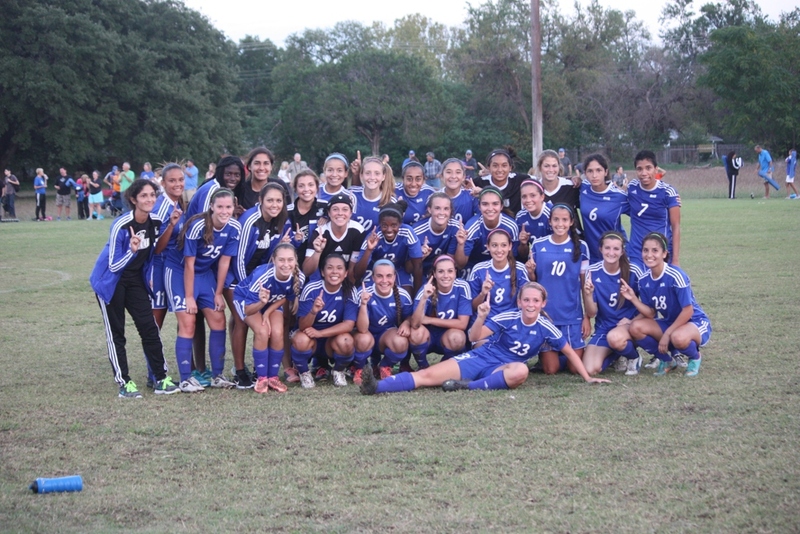 In 2014-2015, OLLU’s Scholar-Teams included women’s soccer, cross-country, softball and track and field, as well as men’s golf. The women’s soccer team fell to 2-2 on the season after suffering a 3-1 defeat at the hands of the University of Science and Arts of Oklahoma (USAO). The Saints fell behind early in the game after a goal by USAO’s Linda Addo in the sixth minute. The score line remained the same for the rest of the half, but just three minutes into the second half, the Drovers added a second goal for a 2-0 lead. Senior captain Stephanie Diaz scored the only Saints’ goal from the penalty spot in the 73rd minute to cut the Drovers’ lead to just one goal. The chance for a comeback for the Saints was short-lived after conceding a third goal in the 76th minute. The Saints will travel to Prescott, Arizona to take on Embry-Riddle Aeronautical University on Sept. 12. Read full article online. 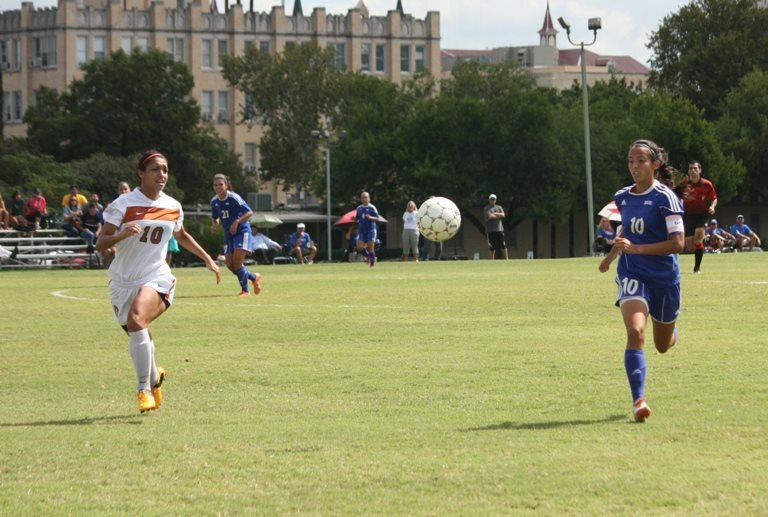 The women’s soccer team defeated the University of Houston – Victoria 4-3 in its 2014 season opener on Saturday, then lost 1-2 to Oklahoma City University (OCU) on Sunday. It was the women’s first home loss since October 2012. Hayley Tiernay scored the one goal on Sunday for the Saints, while Teegan Luckemeyer, Stephanie Diaz, Jackie Lamarida and Stephania Vazquez scored the four goals on Saturday. The Saints will continue their regular season on the road at Wayland Baptist University on Sept. 4. OLLU received 209 to be ranked No. 19 in the NAIA Women’s Soccer Coaches’ Postseason Top 25 Poll, the national office announced Wednesday. The Saints ended their season on Nov. 23 during the first round of the NAIA National Championship Tournament. 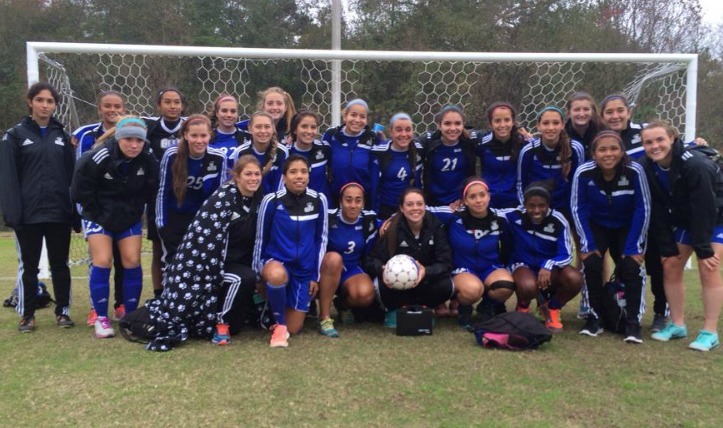 OLLU lost 1-0 to William Carey University (No. 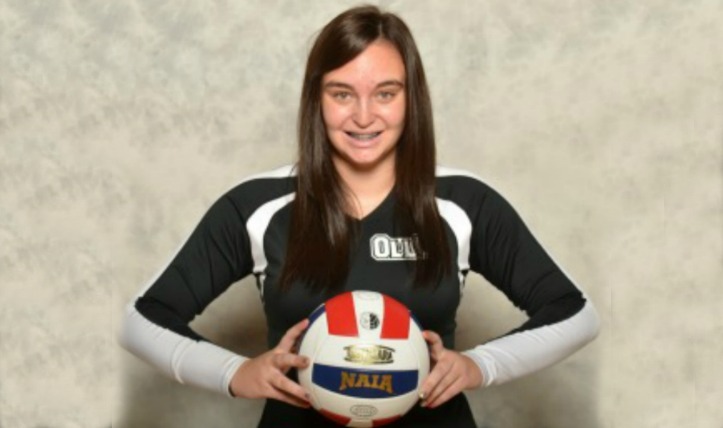 10), which in turn lost to Embry-Riddle University (Fla.) (No. 6) 1-0 to end its season. The Saints won the Red River Athletic Conference Regular Season and Conference Tournament for the first time ever. They finished the season with a 16-3-1 overall record and a perfect 6-0 in conference. Read full story online. The National Association of Intercollegiate Athletics (NAIA) announced the men’s soccer, women’s soccer and volleyball student-athletes that have been named 2013 Daktronics-NAIA Scholar-Athletes. OLLU student-athletes Martin Hansson, Emily Backus, Alyssa Mora, Victoria Vazquez and Bryttany Willoughby are among the honorees. 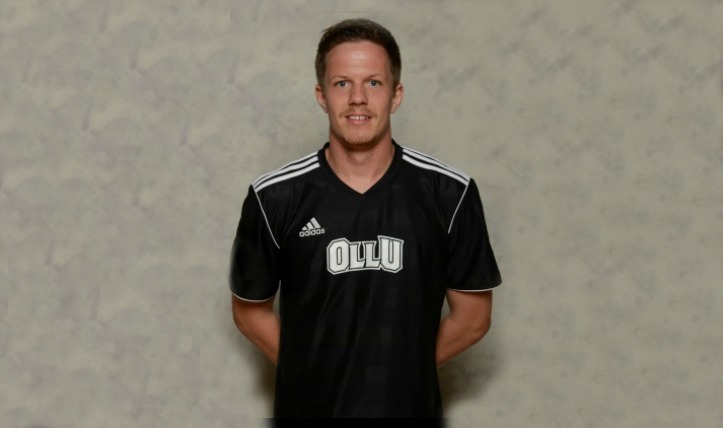 Hansson, a senior on the men’s soccer team is receiving this award for the first time. Last year, he received the Champions of Character award, as well as conference scholar athlete honors. Read more online. 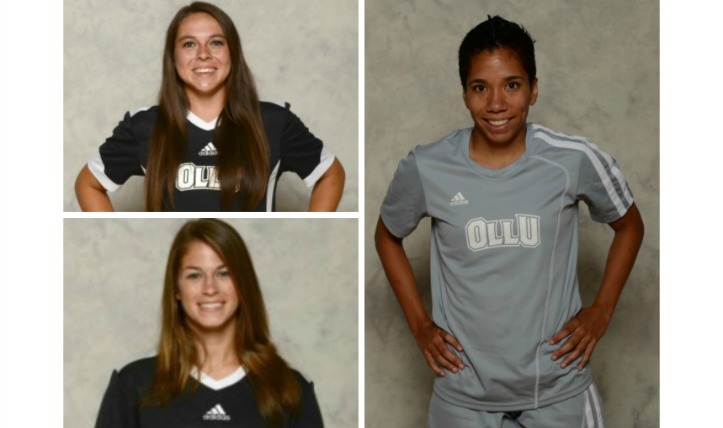 OLLU women’s soccer seniors Backus, Mora and Vazquez all three received the award last year. In addition, Backus has received the CoSIDA-Captial One Academic All-District Award, and all have been named conference scholar athletes in each of their years at OLLU. Read more online. Willoughby, a junior on the volleyball team, is also receiving this award for the first time. In her previous two years at OLLU, she has received conference scholar athlete honors, as well as the CoSIDA-Capital One Academic All- District Award. Read more online. In order to be nominated as a Scholar Athlete by an institution’s head coach or sports information director, a student-athlete must maintain a minimum grade point average of 3.5 on a 4.0 scale and must have achieved a junior academic status. The women’s soccer team will play Southwest on Friday. The women’s soccer team is set for the conference semifinals that take place Friday at the Houston Amateur Sports Park. The Saints, the No. 1-seed in the conference, will play No. 4-seed Southwest at 12:30 p.m. No. 2 Brownsville will play No. 3 Huston-Tillotson University at 3 p.m. The winners of both games will advance to the championship match on Saturday, Nov. 9 at 5 p.m. The Saints finished the regular season as the conference champions with a 6-0 record and 14-2-1 overall. Last week, they improved to No. 19 from No. 21 in the 2013 NAIA Women’s Soccer Coaches’ Top 25 Poll. Amaris Tavares scored one goal for the Saints. For the first time in school history, the women’s soccer team won the Red River Athletic Conference regular season and finished undefeated with a 6-0 conference record. 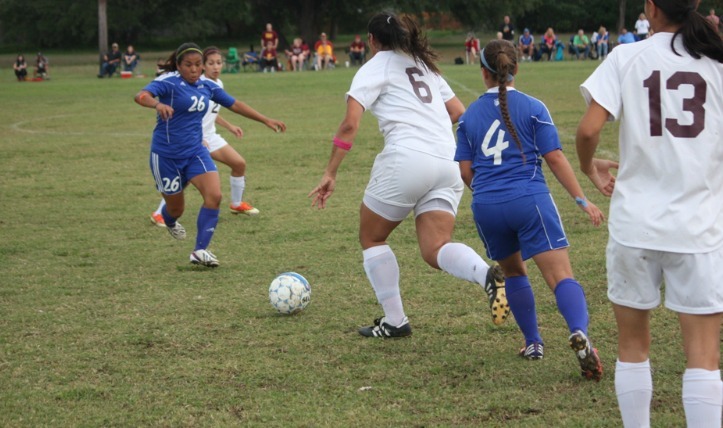 The Saints beat Huston-Tillotson University 2-0 on Saturday evening to clinch the title. The team is the No. 1 seed the in the conference tournament. The first round begins this Friday with the No. 3-seed University of the Southwest (3-2-1/6-7-1) hosting No. 6-seed Texas College (1-5/4-10-2). No. 4-seed Huston-Tillotson (3-2-1/4-7-2) will host No. 5-seed Bacone College (2-4/6-10). Then on Nov. 8, the Saints (6-0/14-2-1) and the University of Texas at Brownsville (5-1/11-3) will play the winners of the Nov. 1 games. The semifinals and championship match, which will take place on Nov. 9, will be held at the Houston Amateur Sports Park in Houston. Read more online. Stephania Vazquez led her team in shooting with five, three on goal. The women’s soccer team stunned the No. 15 team in the NAIA University of Texas at Brownsville by a score of 1-0 last Thursday. The win keeps the Saints undefeated in the Red River Athletic Conference with a 4-0 record and 12-1-1 overall. Brownsville, which previously was tied with the Saints for first place, has dropped to third place with a 3-1 conference and 8-3 overall record. Huston-Tillotson University (3-0-1/4-4-2) is ½ a game behind the No. 1 Saints. OLLU keeper freshman Gabriela Lopez recorded four saves, while Brownsville’s starting keeper Maria Eriksen recorded one and allowed the one goal. Second-half keeper Amanda Fulton finished with four saves for the Ocelots. Read more online.